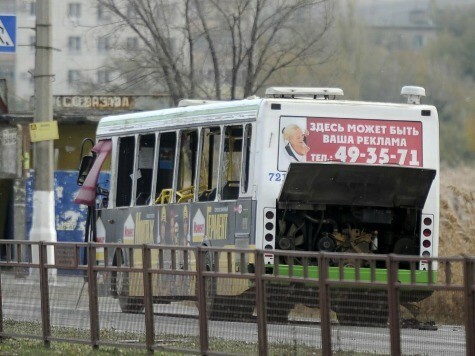 Authorities linked Naida Asiyalova to the bus bombing in Volograd, Russia on Monday afternoon. Six people were killed and between 33-37 were injured, including a 20-month old toddler. Asiyalova is from Dagestan in the North Caucasus where many radical Islamist terrorist attacks have taken place after two separatist wars in Chechnya. Now the attacks appear to be seeping into Russia’s mainland. He said: “According to preliminary information, the self-explosion was carried out by a 30-year-old Dagestani native, Naida Akhiyalova. Russia hosts the 2014 Winter Olympics in Sochi, and President Vladimir Putin demanded more security in the North Caucasus amid fears Islamist groups will plot and carry out more attacks leading up to and during the games. Many experts claim the Black Sea resort is vulnerable to terrorist attacks. Asiyalova’s passport shows her in a black hijab and her birthdate as October 25, 1982. She was married to rebel commander Dmitry “Giraffe” Sokolov, 21, and converted to Islam. The Daily Mail is reporting she was suffering and dying from bone cancer. Russia calls female suicide bombers “Black Widows” because most are widows of suicide bombers. However, Asiyalova’s husband is alive contrary to previous reports and wanted by Russian authorities. Sokolov is an explosives expert, and authorities suspect him of putting a suicide belt on a female suicide bomber in Makhachkala, the Dagestan capital, in May. The police said the two met online and she moved to Moscow to marry him. His parents reported him missing in July 2012 when he did not return from his Arabic classes. Boston Marathon bombers Tamerlan, 26, and Dzhokhar Tsarnaev, 19, are reportedly of Chechen descent. The Associated Press said Dzhokhar was a student in Makhachkala and Tamerlan traveled to Dagestan last year for six months. Rumors floated he met with extremists while visiting his parents, but his father Anzor denies them. This is the first terrorist attack in Russia since 2011 when 35 people died in a bombing at the Moscow airport. Female suicide bombers previously attacked the underground railway stations in Moscow in 2010, killing 35 people. In 2004, female bombers blew up two airplanes at the Moscow airport and killed 90 people. Another 130 people were killed during a three day hostage situation in 2002. Volgograd’s population is around 1 million people and used to be known as Stalingrad. Three of the victims will be transported to Moscow on Tuesday.